Thirty-six-year-old Eliza Dorsey died this date, May 22nd, in 1848 and was buried at Bethel Burying Ground. 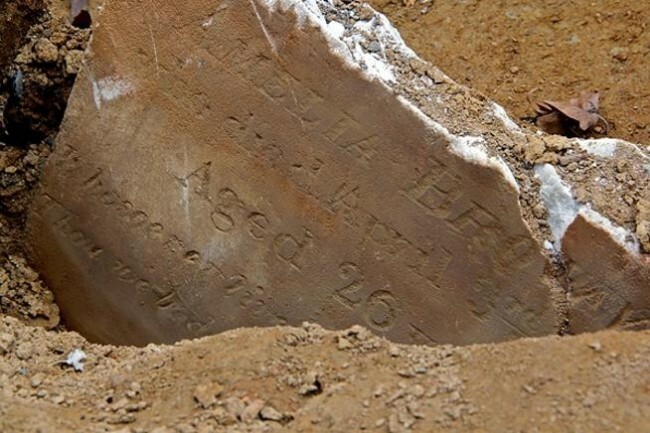 Thirty-six-year-old Eliza Dorsey died this date, May 22nd, in 1848 due to “Spasm of the Glottis” and was buried at Bethel Burying Ground on May 24th. She was a single woman who provided guardianship to three orphans – a boy and two girls – according to the 1847 Philadelphia African American Census. The children were “not taken care of by [their] parents” and Ms. Dorsey voluntarily took the children into her home. Ms. Dorsey was a laundress washing and ironing clothes and reported in 1847 that she earned $15 a month for her efforts. The family of four lived in one room in a building around the corner from Bethel Burying Ground, on “Fourth Street below Queen Street” for which Ms. Dorsey paid $7.50 a month in rent. The children were educated at Mrs. Emeline Higgins private school for African American children in Raspberry Alley. The school had been established for eight years in 1848. At the time of Ms. Dorsey’s death, one Black family in four was headed by a female in Philadelphia. Currently, it is estimated to be over double that at sixty-eight percent nationally. Ms. Dorsey suffocated to death, likely from severe asthma. There is no reason given as to why a physician didn’t visit the corpse of Ms. Dorsey until two days after her death. I could find no documents reporting what happened to the children in her care.